This year, instead of making New Year’s resolutions, I’ve decided to make New Semester’s resolutions. In the past, I’ve made lists a mile long on the 1st…only to have them dwindle to nothing by the time February rolls around. So instead of trying to accomplish everything at once – and try to remember everything I’m trying to accomplish while trying to accomplish that which I remember I wanted to accomplish (whew!) – I’m whittling down the list to 3 things at a time, about 4 months at a time. Now, I’m breaking the year up into semesters…but my resolutions (so far) have little to do with school. “Doing well at school” and “trying hard in class” are kind of no-brainers, that’s how I was raised, doing anything less was unacceptable. On the other hand, because my childhood was so school-centric, I never really focused on my health. Last semester is probably the best example of how I manage to abuse my body for the sake of succeeding in academia: four hours of sleep every third night, two all-nighters in a row, almost zero exercise, endless take-out meals…so this semester’s resolutions are about me, and not about school. Resolution 1: Improve my posture. Gratuitous bathing-suit-clad ladies with books on their heads. I won't be doing that. There came a point in the last semester where I looked like Quasimodo when I rolled out of bed every morning. That point was October. And it only got worse…by the end of the semester, I looked like Marty Feldman in Young Frankenstein. Then, I spent the best $25 I could’ve all semester: I got a 30 minute massage. One of the second years had a girlfriend who happened to be a masseuse. She came in and set up her table on the sixth floor the weekend before final reviews. Having already spent almost 24 hours non-stop slumped at my computer, I dragged myself upstairs, to come back a new woman, with the ability to reach my arms over my head without grimacing in pain, bend over and touch the floor, breathe…and then I promptly slump at my desk for another two days. So: resolution number one: get better posture. Mostly seated posture, though standing posture might make me look a smidgen taller, which wouldn’t be such a bad thing. Resolution 2: Get [at least] 15 minutes of exercise a day. For about a month and a half last semester, a classmate and I managed to sneak out after studio for a quick run, about 3 times a week, to release some stress and get energized for the long nights ahead. Then Thanksgiving break came around…and I fell off the wagon. So here I am, back again, clambering back on. I’m trying to make it easy on myself – so only demanding 15 minutes a day, which, let’s be honest – if I can’t find 15 minutes in a day for myself…there’s something terribly wrong with my priorities in life. If I’m feeling ambitious, I’ll up it to 30 minutes by the end of the semester, at least thrice a week…but no pressure. Get those 15 minutes in, and I’m considering myself golden. Resolution 3: Cook at home more. Another disappointment last semester was the number of times I found myself eating out. Cheap(ish) food, sometimes more than twice a week, that filled me up but left me feeling nasty only a few hours after…and a few pounds heavier and several dollars lighter by the end of the semester. 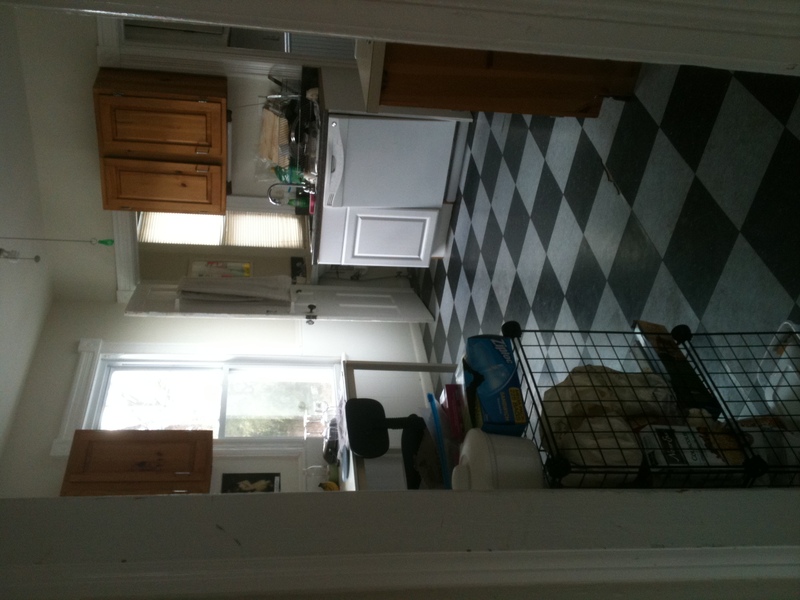 Now, one of my favorite things about our apartment is the large kitchen. It’s roomy enough to cook while people keep you company, and though there isn’t much counter space, it’s light=filled and just a good place to be. If I’m making excuses, I’d say the heavy workload and the distance between studio and the apartment was why I didn’t get very many opportunities to make use of this kitchen. But the thing is, when I decided to make time, I could. Every other week, I’d spend Sundays cooking meals for the rest of the week. We had dinner parties a few times and I’d made pumpkin bread pudding or apple cake or braised chicken (the last one was a procrastination tool – I really didn’t want to work on my paper, so I had people over for dinner). The point is, I like cooking, and I like our kitchen. My performance this semester is contingent upon my sanity..and my sanity is contingent upon my happiness; ergo, if cooking in the kitchen makes me happy, I ought to try and do it a bit more! The measure of success is as follows: if I cook every weekend, and spend less than $20/week on eating out, I’m doing much better than last semester. Our kitchen, as seen from the living room. Nothing matches - but look at the light! So there you have it, my three Semester’s Resolutions. While posting daily updates about my posture and exercise habits would be a bit ludicrous, I’ll try and post some of my cooking adventures – at least the ones that are photogenic.